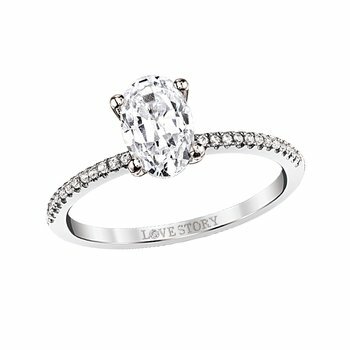 From our Love StoryÂ® Collection, this delicately divine Bridal Set features a dazzling, demure princess-cut center diamond. 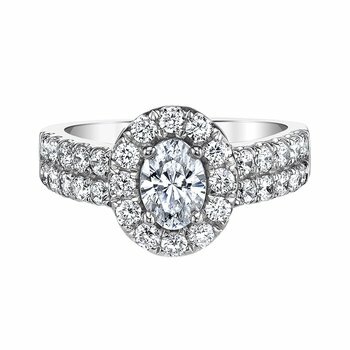 The set is completed by a slender, matching diamond wedding band. 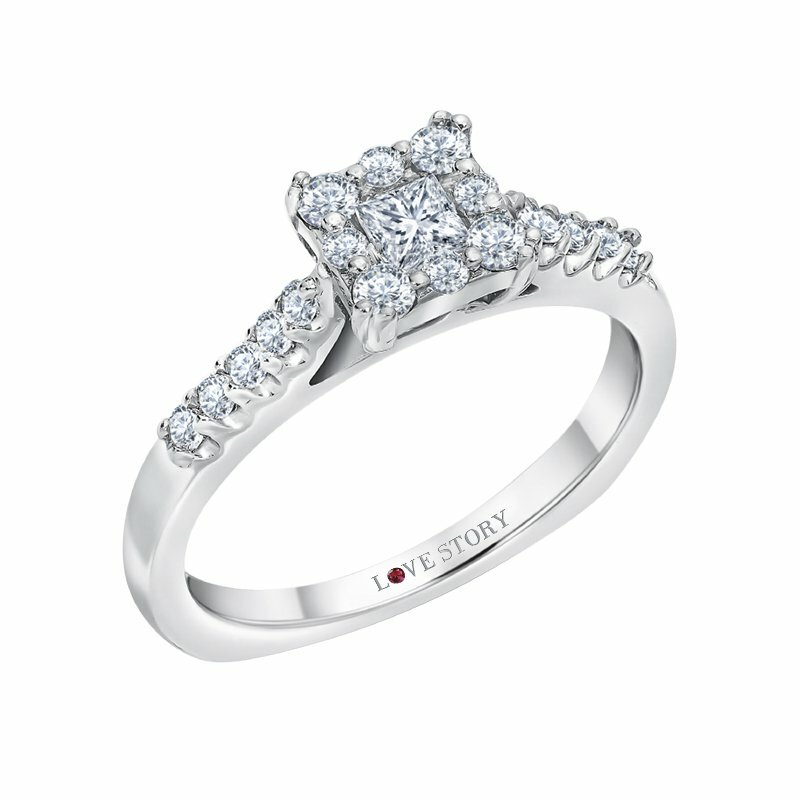 Our signature logo a ruby is embedded in the shank for an added secret message. 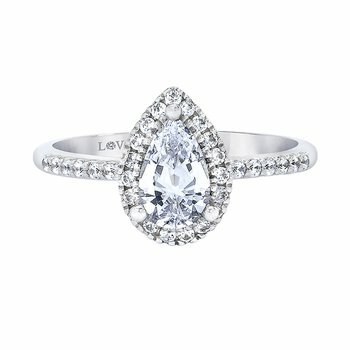 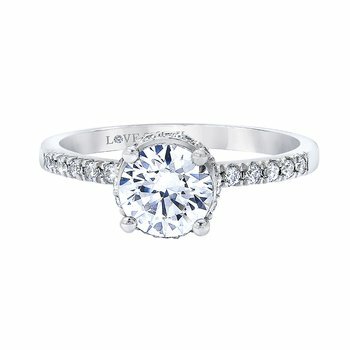 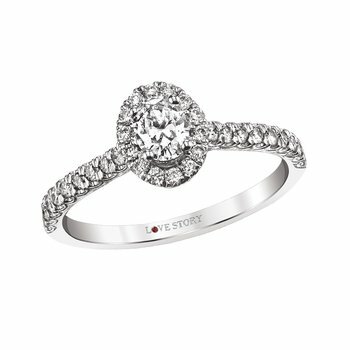 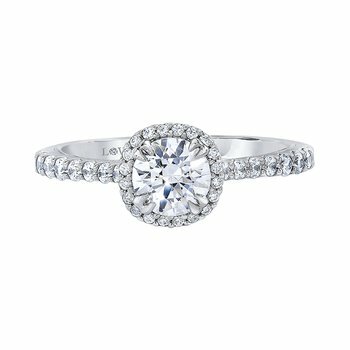 14K White Gold Diamond PR Ctr. 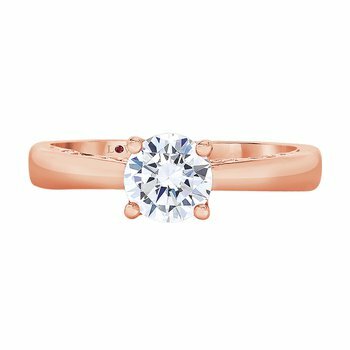 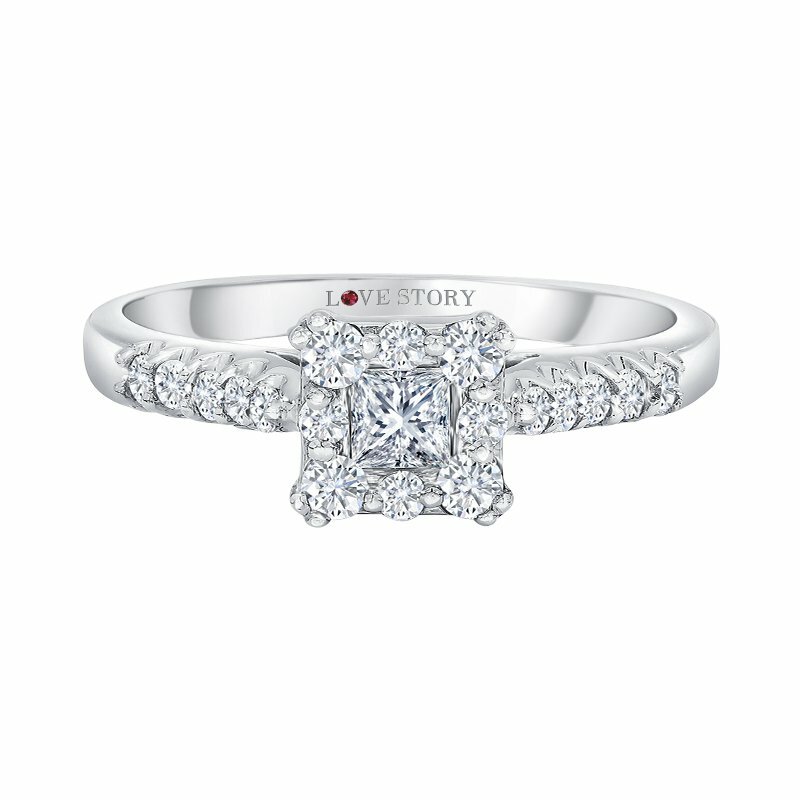 Bridal Set- 5/8ctw; 1 - 0.17ct PC, 14 - .0135ct Rds., 4 - .0375ct Rds. 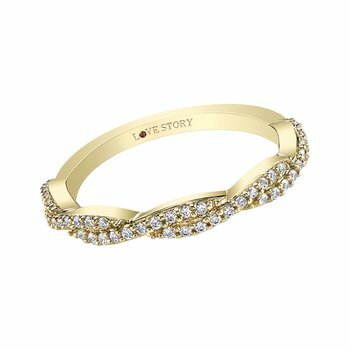 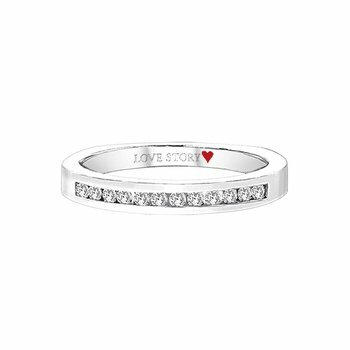 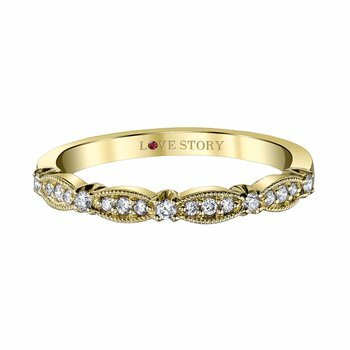 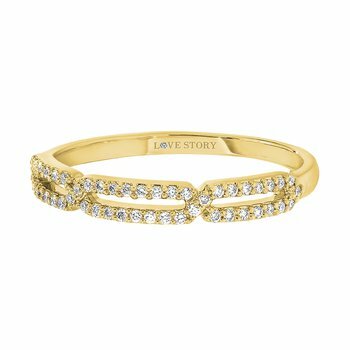 (all I/SI ) (Set F-dwt=3.85) From the Love StoryÂ® Collection. 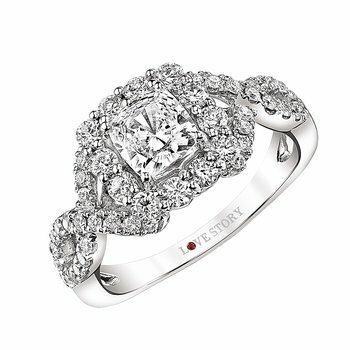 Ruby in shank logo.